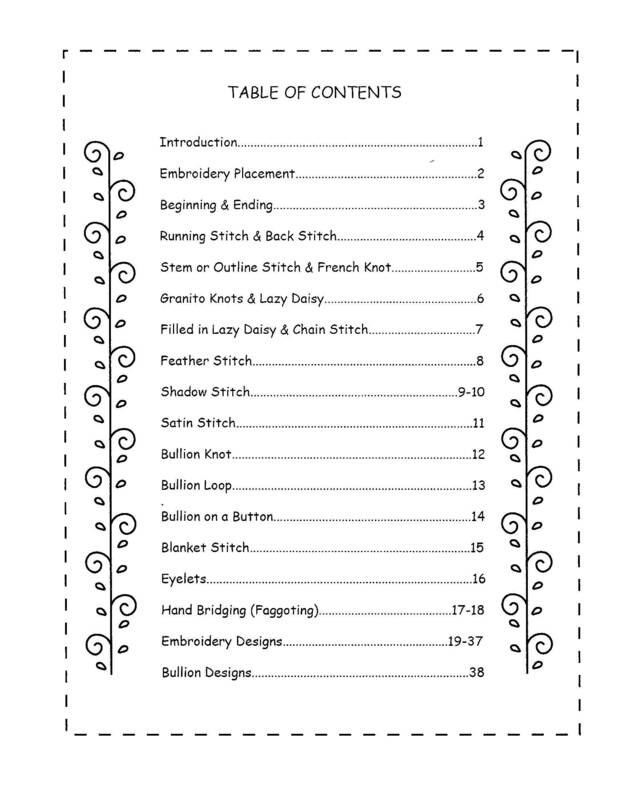 Over 100 embroidery designs, instructions for 16 classic embroidery stitches, bullions and bridging. 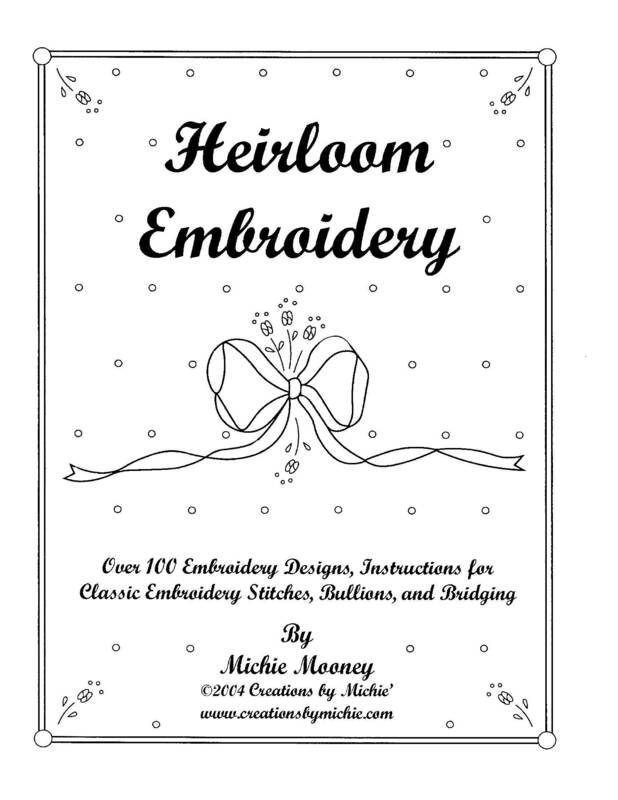 Tips on threads, needles, fabrics, placement of your embroidery designs. Clear illustrations and directions.